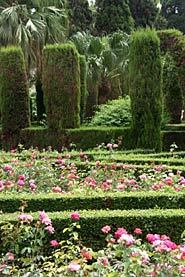 The Monforte Gardens are listed as a National Artistic Treasure and are considered the most beautiful gardens in Spain. 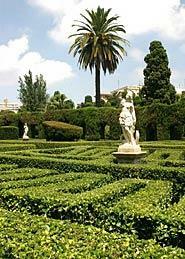 They are laid out in Neoclassical style with Romantic corners, containing fine Italian sculptures, fishponds, fountains with Cupid groups and a small mansion or summer pavilion. Guarding the entrance to the pavilion are two lions sculpted in Carrara marble.